‘Regatta at Molesey’, by Alfred Sisley, perhaps the best known of the pictures that he produced on his visit to Britain in 1874. It is currently on display in the Orsay Museum, Paris. Tim Koch continues to mix oils and water. My recent piece on Ferdinand Gueldry, ‘painter of water and light’, followed on from Hélène Rémond’s post on the exhibition of his work currently at the Nogent-sur-Marne Museum. I was particularly taken by Gueldry’s 1896 painting of boaters at Molesey Lock. 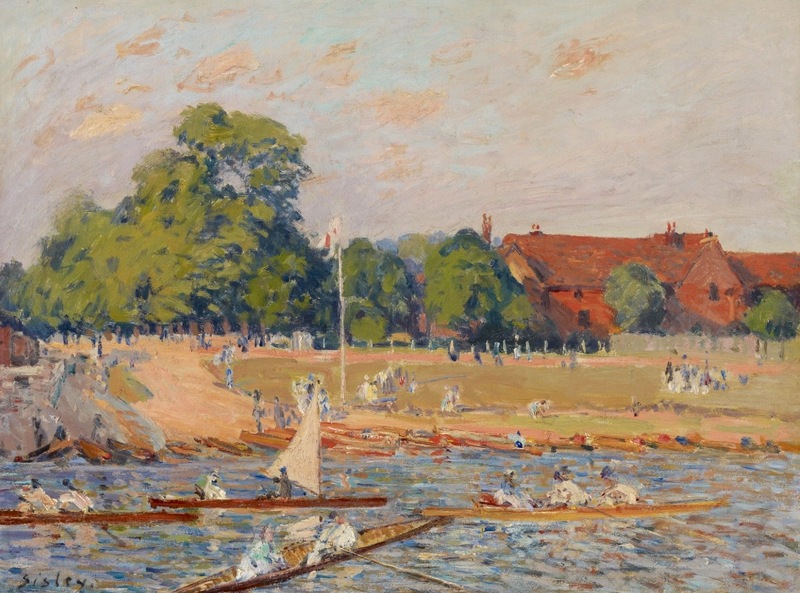 It also reminded me that, over 20 years before, Molesey had and played host to another painter with a French connection, one who also immortalised local rowers in his work. 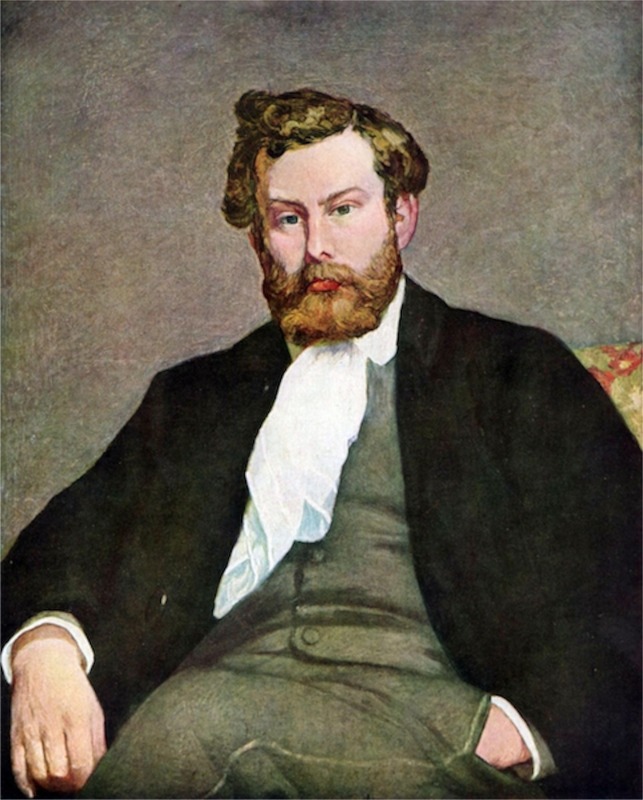 A portrait of Alfred Sisley by Pierre-Auguste Renoir. Alfred Sisley (1839 – 1899) was a prolific impressionist landscape painter who was born and spent most of his life in France (though officially remained a British citizen). A devoted outdoor painter, he seemed particularly inspired by water and bridges – but he only included rowers in his aquatic works in some of the pictures that he made during his four-month visit to Britain in 1874. 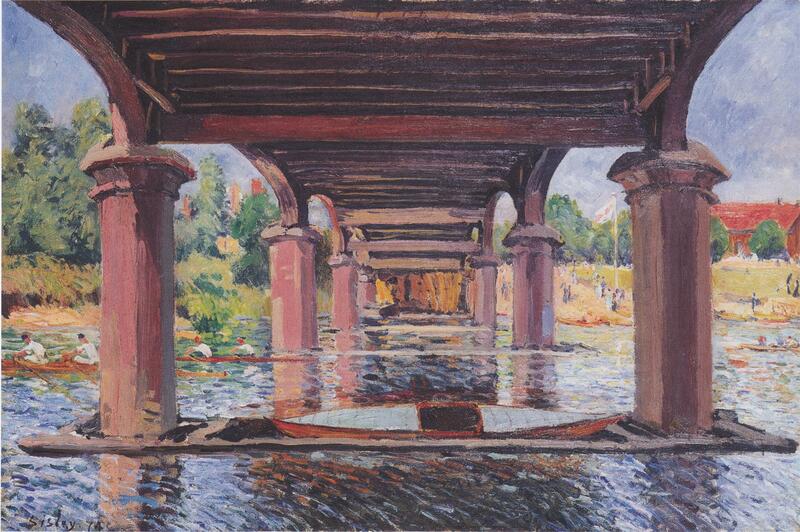 The paintings of the Upper Thames around Molesey that he produced in this time were brighter than those he had done before and were later described by the art historian, Sir Kenneth Clark, as ‘a perfect moment of Impressionism’. ‘Under the bridge at Hampton Court’. 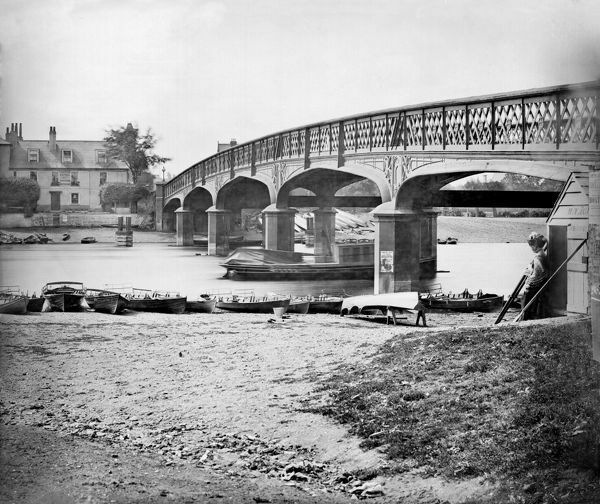 This is the third Hampton Court Bridge, built in 1864. In the early 1930s, the present bridge was built just to the right of the old one as viewed here. 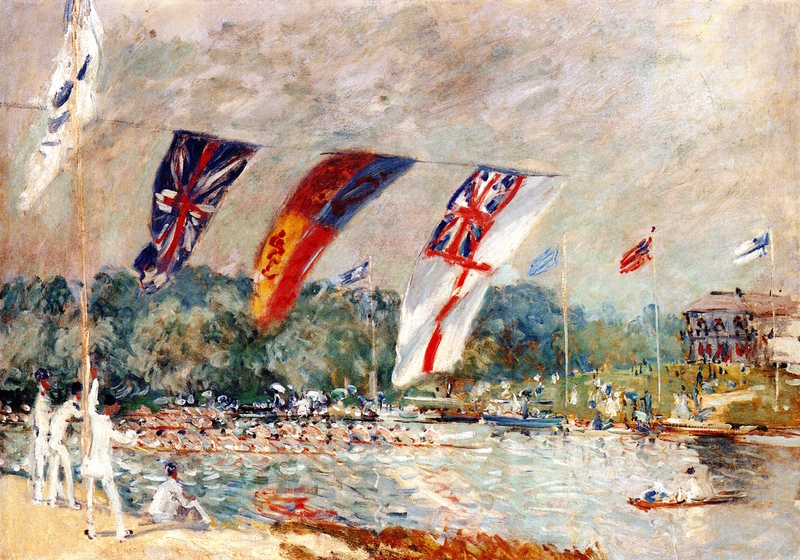 ‘Regatta at Hampton Court’. Hampton Court Palace is in East Molesey though ‘Hampton Court’ is often spoken of as a separate village. The Hampton Court Bridge that Sisley would have known. The riverbank featured in the above three paintings can be seen through the bridge on the right. Also, the trio almost forms a left to right panoramic view. The blogger, Fireside Hours, has an excellent three-part post showing the above scenes today. Part two is of particular interest – though part one and part three (which includes ‘Regatta at Molesey’) are also well worth reading. 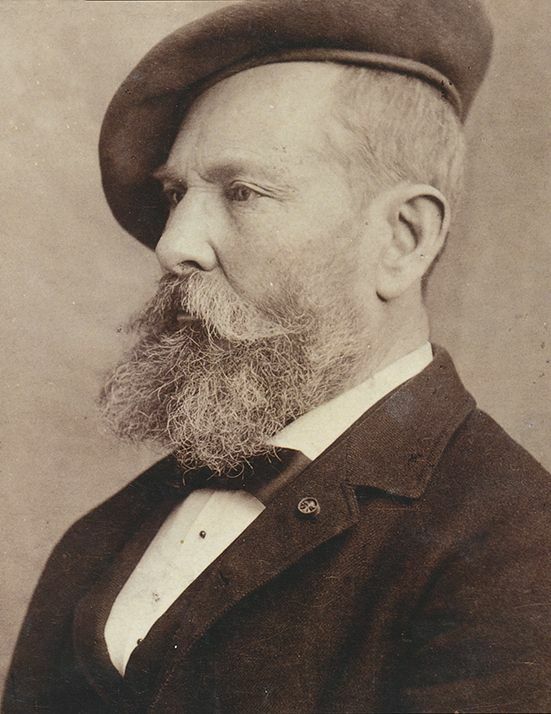 Alfred Sisley towards the end of his life. He died at 60, impoverished, his application for French citizenship refused, his talent largely unrecognised. 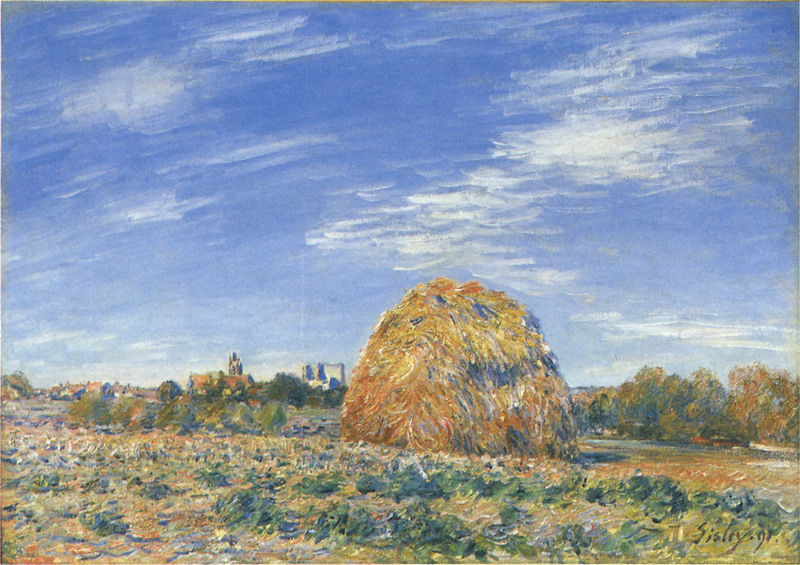 Most of Sisley’s known works are illustrated in high resolution on a remarkable site, The Athenaeum. ‘Haystacks in Moret in October’, 1891. 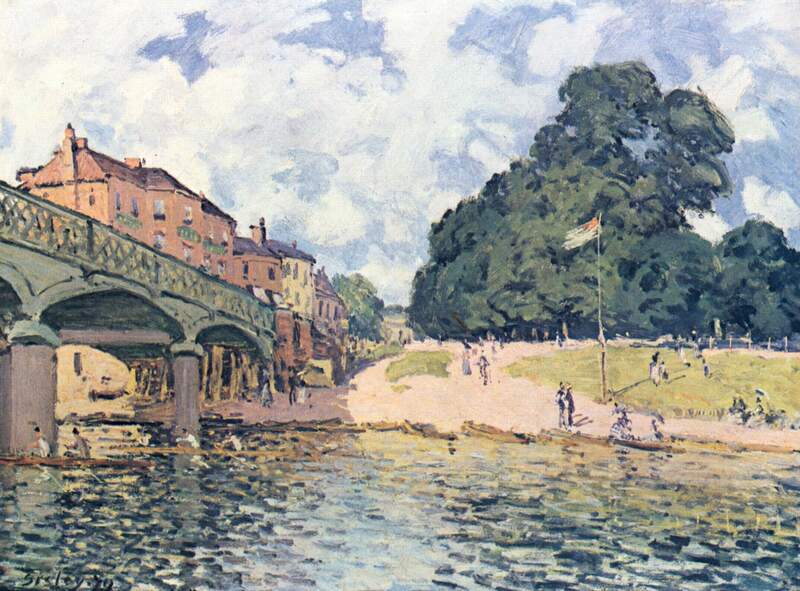 There are no rowing connections here but this is my favourite Sisley painting after ‘Regatta at Molesey’. To my ignorant eye, it is reminiscent of Vincent Van Gogh, who called Alfred Sisley ‘the gentlest of the Impressionists’.